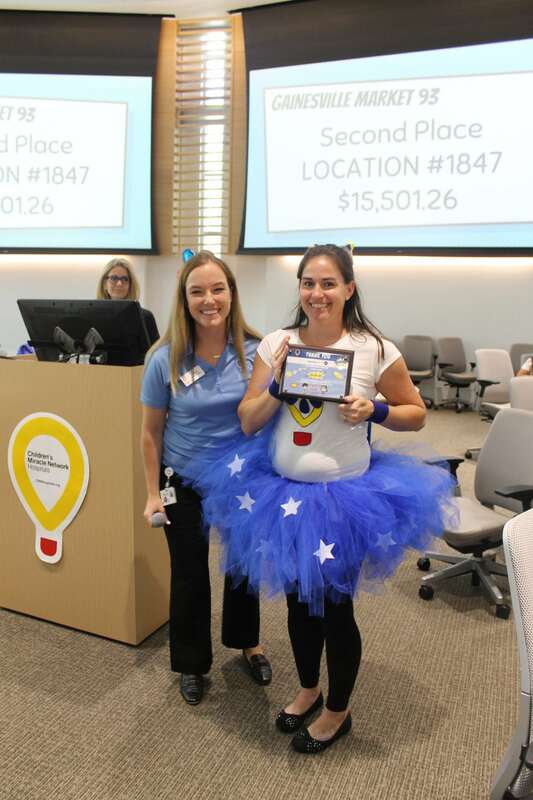 Walmart and Sam’s Club associates are helping “put the money where the miracles are” again this year with a combined fundraising effort, raising $379,220 for UF Health Shands Children’s Hospital in Gainesville following the annual Children’s Miracle Network Hospitals campaign. The fundraising efforts are part of a broader national effort that raised more than $35 million in support of the 170 member hospitals across the country. 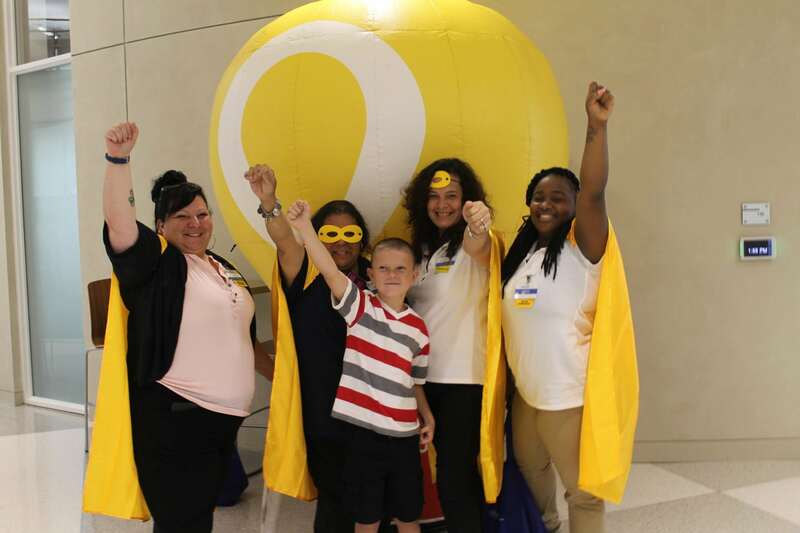 Associates gathered at UF Health Shands Children’s Hospital prior to the campaign for a superhero-themed kickoff and celebration. Associates here pose with CMN Ambassador Sage. Manager Dalila Garcia’s store No. 1847 raised over $15,000 in 2016. Associate and CMN Champion for 1847 pictured here received a plaque at the campaign kickoff for being a top fundraising store. Because of support from Children’s Miracle Network Hospitals, UF Health Shands Children’s Hospital can purchase lifesaving equipment, provide programs and services with meaningful impact, and conduct transformative research. Funding from CMN Hospitals has also been vital to renovation efforts of pediatric areas such as the Neonatal Intensive Care Unit and the ER, making UF Health Shands Children’s Hospital a more comfortable, welcoming and warm healing environment for over 40,000 pediatric patients seen each year. Associates from store No. 538, pictured here with CMN Ambassador Sage, raised over $12,000 during the 2017 campaign. Walmart and Sam’s Club have supported Children’s Miracle Network Hospitals for 30 years. Funds raised impact each of the 170 Children’s Miracle Network Hospitals, which treat 10 million kids annually across North America. Hospitals utilize the funds based on what they need most — including lifesaving equipment and research, top therapy programs, charitable care and more. 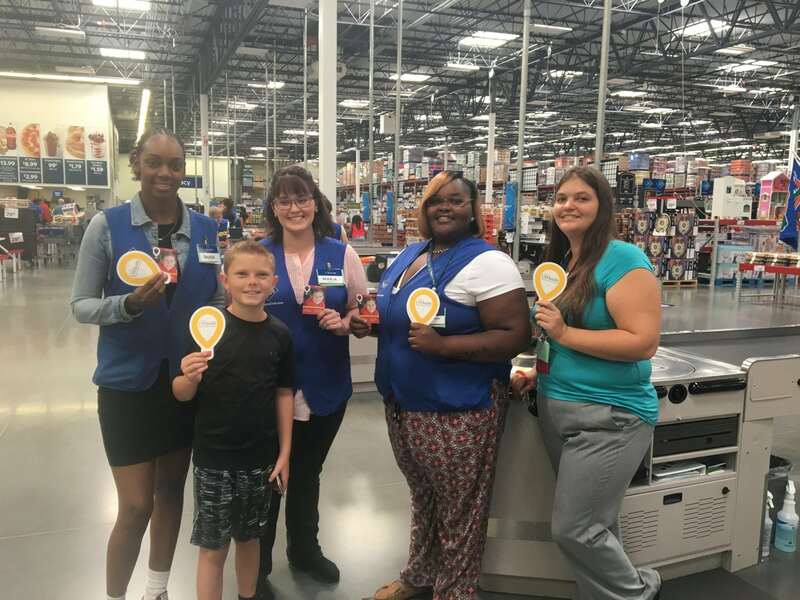 The Gainesville Sam’s Club raised over $12,900 during the campaign, achieving a 149% increase from their total in 2016. Fundraising efforts have evolved over the last 30 years. While donations at the registers drive most of the fundraising at stores and clubs during the campaign, associates also get creative by hosting fundraising events, such as children’s carnivals, craft sales and cookouts. Every year, Walmart and Sam’s Club associates tour UF Health Shands Children’s Hospital to see the impact they make when fundraising. 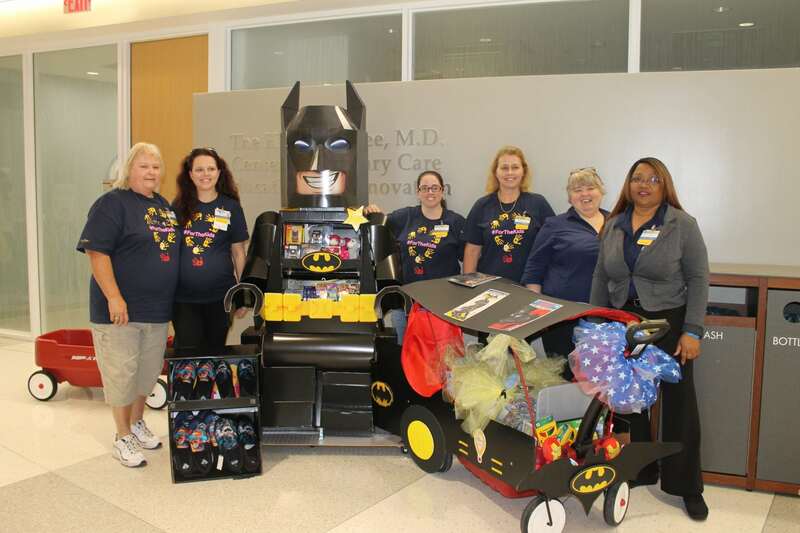 They also bring decorated wagons filled with toys for the pediatric patients, like the one pictured from store No. 697 in Ocala. Store No. 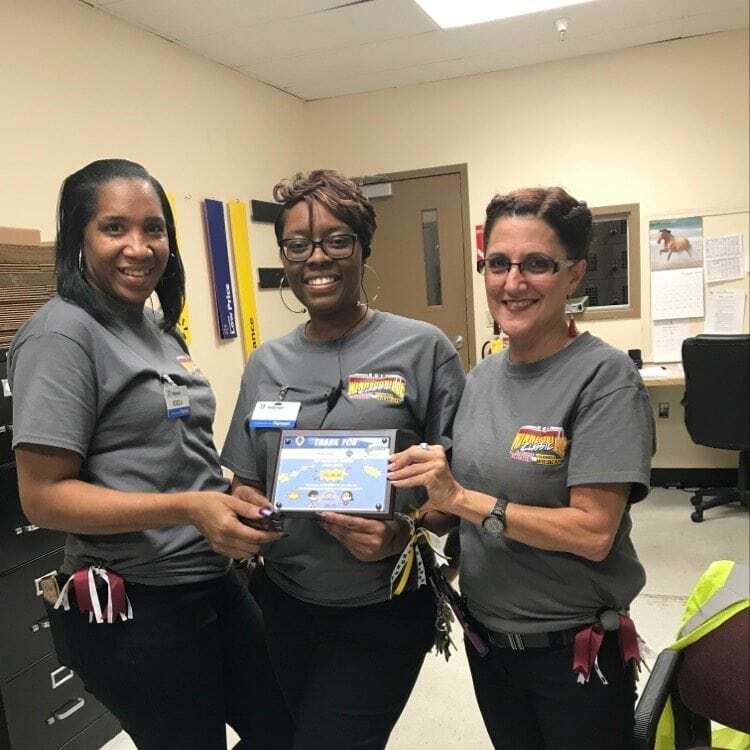 2615 in Valdosta, GA was the number 1 fundraising store for UF Health Shands Children’s Hospital, raising $16,762 during the campaign. 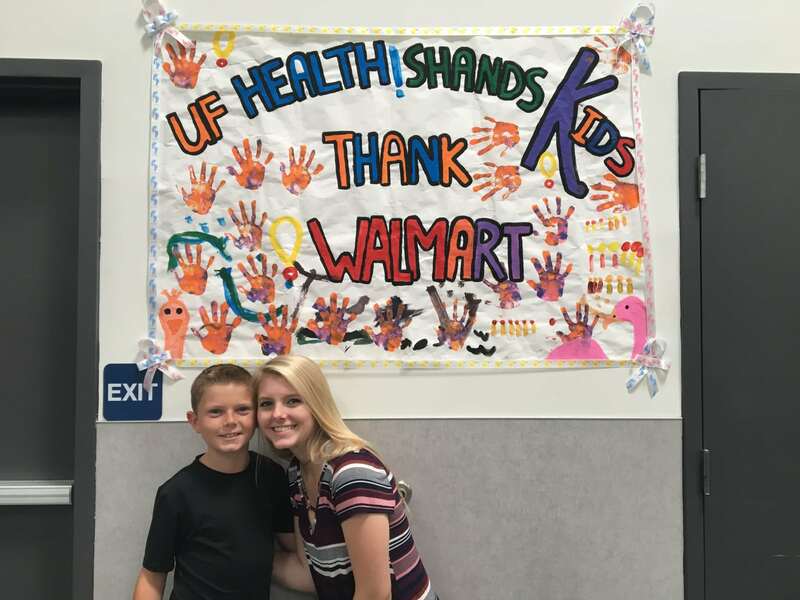 Thank you, Walmart and Sam’s Club, for your continued commitment in making miracles happen for the kids at UF Health Shands Children’s Hospital! 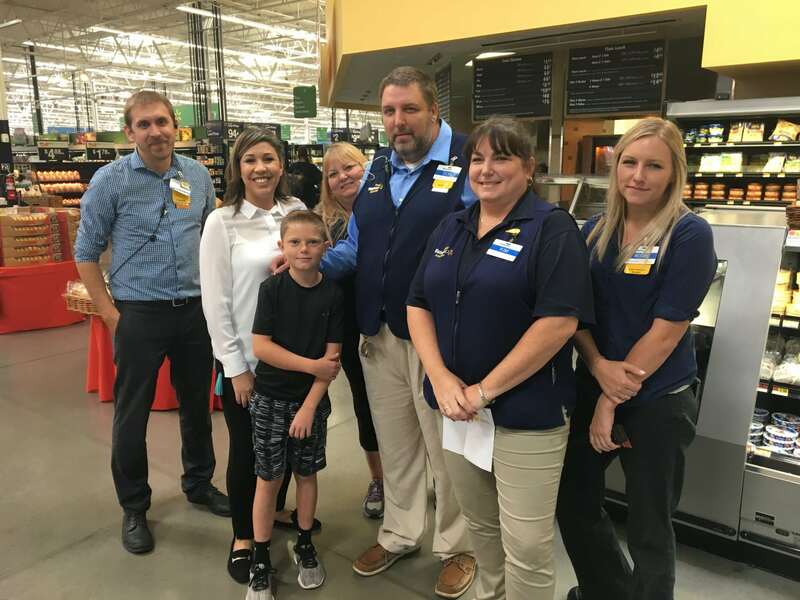 CMN Ambassador Families visit Walmart and Sam’s Club locations during the campaign to thank them for their support. Sage and his sister, Jade, pictured here at Walmart No. 1081 in Gainesville.